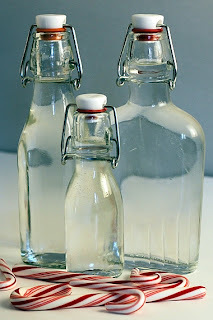 Canning Infusions or Cordial - It's about the Vodka - Canning Homemade! I was asked to put up some recipes to make some Cordials or Liqueurs since just like the vanilla extract they work well in canning jars to infuse the flavors of the fruit or coffee into the vodka. All of the recipe that I am posting are made with vodka as the base alcohol but some may also be done with other types as well. The second reason for the post is to get you going on holiday gifts. 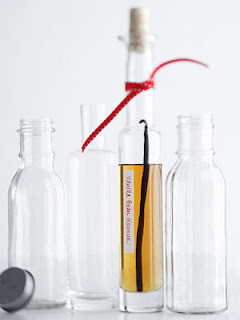 Making your own jars and then transferring them into beautiful bottles are amazing gifts for the holidays. Not only is the drink fantastic but you can get some amazing decorative bottles to present them in. It's best to start the recipe in a canning jar, either pint or quart, since it will require a tight-fitting jar and some require shaking of the jar on a "every other day" basis for the 4 weeks till they are ready. 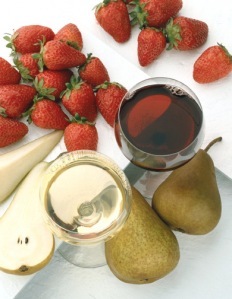 If you start by this weekend you will have a fantastic ready to drink cordial by the holidays. If you are looking for additional recipes check Punk Domestics. Here are the recipes. Place fruit in a clean 1 quart jar. Stir in alcohol and brandy. Marinate covered for several weeks in a cool, dark place. Strain though a fine sieve lined with cheesecloth, reserve fruits for another use. Stir in sugar. Pour into sterilized bottles, cork, label and store in a cool place for at least 4 weeks. Makes 2 cups. Combine cranberry, orange juice and sugar in a medium saucepan. Bring to a boil over medium-heat, stirring until sugar is dissolved. 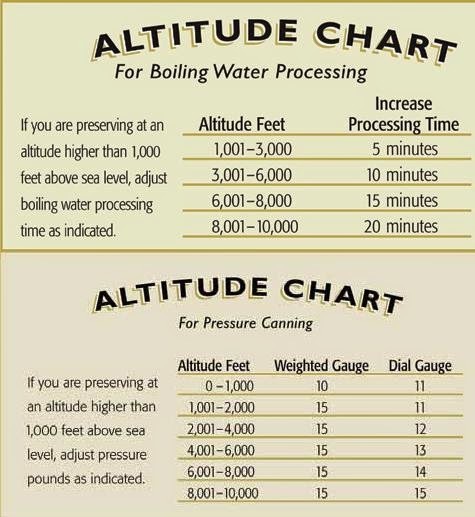 Reduce heat and boil gently, uncovered, for about 10 minutes or until reduced by half. Remove from heat. Cool to room temperature, stir in vodka and vanilla. Pour into a clean jar with a tight fitting lid. Store in frig. Makes 3 cups. Place raspberry cocktail, vodka, sugar, and orange juice in a clean jar with a tight-fitting lid. Seal tightly and shake until sugar is blended. Let stand at room temperature for at least 2 weeks for flavors to blend. Shake jar occasionally. When ready to use, store in frig. Makes 2 1/2 cups. Place hot coffee in a 2 cup measure and stir in sugar until dissolved. Stir in alcohol, brandy, and vanilla. Pour into a clean bottle. Store 4 weeks before using. Makes 2 cups. In a sterilized 2 quart glass jar, combine the 2 cups lemon peel and vodka. Cover jar with a tight-fitting lid. Allow to stand in a cool, dry, place for 10 days, gently swirling the mixture in the jar each day. Strain mixture through a fine mesh sieve set in a large bowl, discard lemon peel. Return the lemon infused vodka to the jar. For syrup, in a medium saucepan, combine sugar and the water. Bring to boiling,stirring until sugar dissolves. Remove from heat, cool for 30 minutes. Pour cooled syrup into the lemon-infused vodka; stir to combine. Cover and chill overnight. 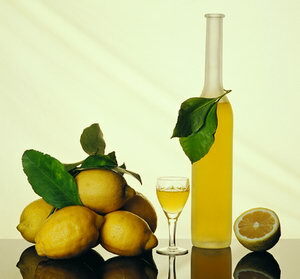 Transfer limoncello to sterilized half pint jars or bottles. Seal and label. Store for up to 1 month in the frig. Makes about 7 half pints. In a sterilized quart screw top jar, combine vodka, sugar and the spit vanilla beans. Cover tightly and shake jar until sugar dissolves. Allow to stand in a cool, dry, place for 1 month. Remove vanilla beans, discard. 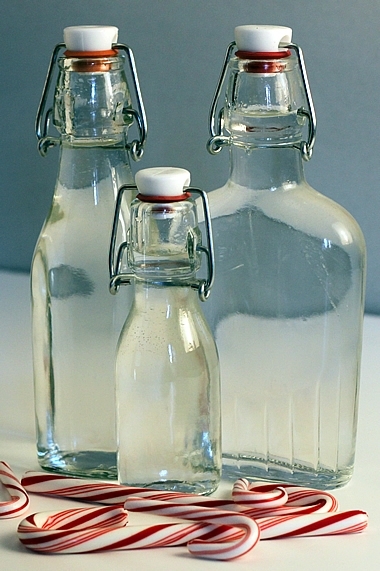 Transfer liqueur to clean decorative bottles with tight-fitting lids. If desired, add a vanilla bean to each bottle for garnish. Seal and label. Store at room temperature. Makes 2 1/2 cups.